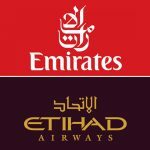 The Etihad airline is counted among the world’s leading airlines. A good news for those peoples who are seeking jobs in middle east countries that dozens of positions are vacant in Etihad airline which are presently being recruited. All these airline positions are vacant for those peoples who wants to do work on land or in the air during flights. Most of these posts are vacant in the UAE, but some employees are also required in other countries. Etihad airlines offer free Visa, accommodation, food, international standards, wages and other benefits to the elected candidates of these airlines. For more information and apply for these vacant positions, click on the given links.